Men’s design wallets are like the destiny of many gentlemen who demand more in a luxurious, unique, and stylish accessory. 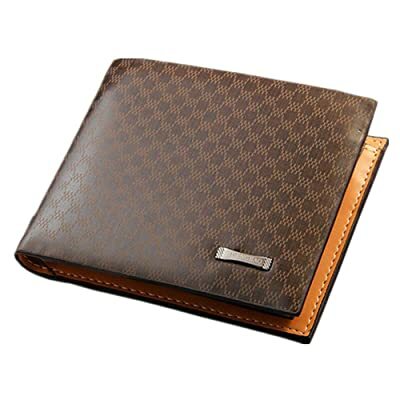 It’s now not just an ordinary card keeper or stuff organizer, but more about an item to nail up your personal taste, style and wealth. The good news is, not every design wallet for men goes expensive. There are still some handsome models with very affordable price. 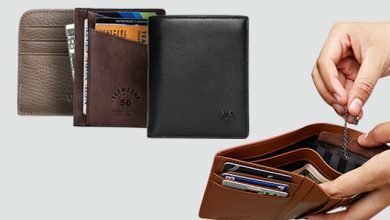 This article is all about this group – offering you the best men’s designer wallets with cheapest price. Obviously, they still ensure the best function. Take a look! 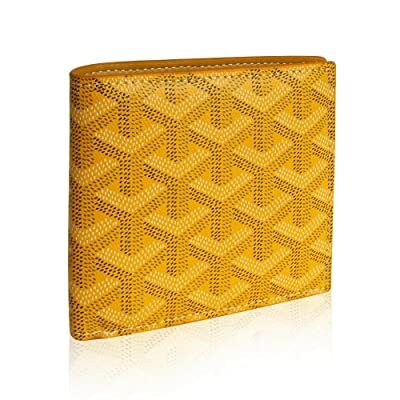 Look as delicate and luxurious as a $100 wallet, but its price is 10th cheaper. At first, I don’t expect much on its embossing quality, but after unboxing, turns out I was wrong. Actually, such this US dollar embossing isn’t so strange on the market, there are already many similar versions from other brands. I’ve tried some of them, like the LUI SUI, and OURBAG. But this one really shocks me out by its strikingly delicate embossing quality. Everything can’t be more perfect. Streamline interior, even stitching, durable hardware and lean silhouette. Not saying that its capacity is very roomy. With this, you’ve got 9 card slots, 1 clear ID window, 1 slip, and 1 full-length bill compartment. I bet it’s able to fit almost guys with their daily essentials. To satisfy such sophisticated-made product with a competitive price, my guess is, its PU leather is the key. I don’t mean that it’s something cheap, but compared to the cost for a piece of genuine leather, PU seems to be the best choice. Plus, this men’s designer wallet with id window is good at water and bears resistance to serve you for years. If you don’t prefer the brown color, take a look at other three options. This Olyphy Designer Wallet is actually a unisex model. 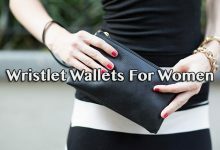 It’s already listed in my collection of the best designer wallets for women, which is the reason might you feel familiar to it. Like the US 100-dollar wallet above, it’s crafted from PU leather. But you will be amazed, like I was, on the first time holding it. Chosen from the finest materials, it’s really durable, soft texture with high wear resistance. Another biggest bonus is capacity. 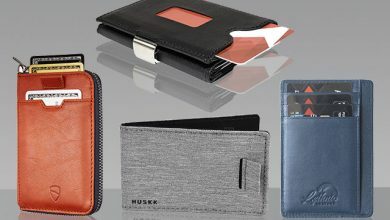 As other long wallets, its interior is roomier and more streamline than the normal bifold with 15 card slots, 2 full-length bill compartments and 1 ID window. Moreover, if your smartphone is too big to fit your front pocket, this extra feature will be very convenient – the mobile phone slot with a snap button to keep it secure ultimately when not in use. Meanwhile, keep your hand free. There are two colorways for you to choose from: the one with brown inter and another with red inter. Overall, this’s going to be the best pal for those who love carrying the whole world along with their hands free. Stylesty is another go-to brand if you’re looking for a good designer wallet. And, this option might be the brightest color in this collection but will definitely be the favorite choice for yellow addicts or those who believe in fengshui. Its monogramed pattern is outstanding as well. But if yellow isn’t your preference, its color chart still has a lot of different tones to choose from. 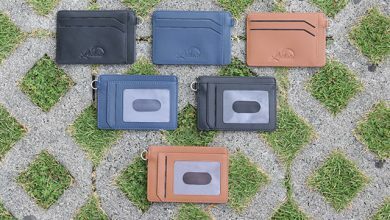 Move on to its capacity, the Stylesty bifold wallet sizing 4.3*3.7*0.4 inch, but its interior is very neat with spacious storage space, consisting of 6 card slots, 2 long bill compartments, and 2 slips. And after fulfilled with 10-15 bills and 8 cards, it’s not thickened up significantly. I mean, still slim and comfortable enough to stay in your back pocket. With such construction, it’s quite versatile to use in many occasions, from casual to formal, from daily life to travelling. The highlight lies in its dual bill compartments to help you arrange different paper currencies in order and look neat for quick access. Lastly, is its packaging. Stylesty is very sophisticated and thoughtful in wrapping their products, it’s even as formal and beautiful as a gift box so, I usually take advantage of that to give my beloved ones as a present. Just add a small card and done! Very convenient and money saving. Love it! I won’t deny that I used to dislike this bifold designer wallet in the first place because of its boring outlook. However, such the streamline arrangement and exquisite look of its interior has changed my mind. On top of that, its price tag is incredibly competitive. And the capacity, is very roomy that can accommodate up to 8 card slots, 1 ID and 10-15 straight bills. But here’s where the real fun begins – the SIM slot. This is a perfect additional feature as a travel wallet as when you’re abroad, it’s essential to change to the domestic SIM card for calling, registering 3G internet and messaging. It’s time to consider a safe place to keep your tiny stocking SIM card to use it when you come back home. And here it is! Plus, its high-grade PU leather is wears and water resistance with less maintenance to offer one less worry during your trip. The only pity, in my opinion, is its lack of RFID Blocking Technology to remove my worry of high-tech thieves when I go to the European countries. But in all, it’s still a well-worth wallet. My recommendation for those who usually go out for lunch during your break at work. This will lessen your must-carry things and wrap them all in just one place to keep your hand free. 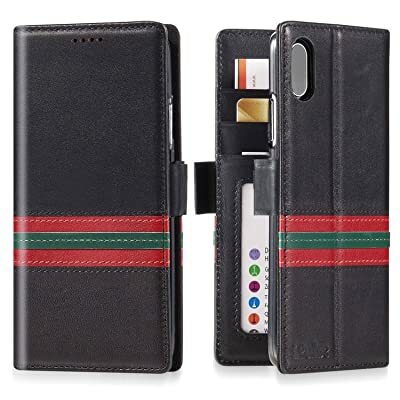 This iPhone XS Max wallet case is just launched last year, but during a short time, has gained a lot of love from many customers for its various colorways, trendy minimal outlook, and functional interior. 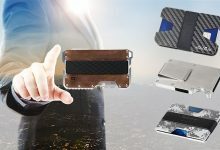 Aside from a sturdy and protective rubber phone case with precise cutouts, and on the other side, you have got 2 card slots, 1 ID window and 1 full length bill compartment. It’s no different than a minimalist wallet but now is attached to a phone case. It’s like a 2-in-1 accessory in this modern life. For nearly $40, you receive a high-quality, beautiful phone case wallet made out of 100% full-grain leather with even, tight stitching. I have to admit that though at first, I complain a lot for its expensive price. However, during 4 months of use, I feel it’s really well-worth and bangs for every single buck! To keep the whole wallet shut, there’s a strong magnetic strap. Some people worry about this kind of lock will leave side effects on their RFID bank cards, however, I get no problems involving to that issue at all. But if there was, I still got a lifetime warranty. So, I’m quite satisfied with it! With the Lafeni bifold wallet, its outstanding outlook will surely nail up your personal style. So far, tiger is a solid symbol of brave soul with a fiery strength of will. A minimal wallet with sophisticated stitching normally upends a man masculinizes but now, it’s even more with this additional embroidery. What amazes me the most till the end is its perfect compromise of quality and price. 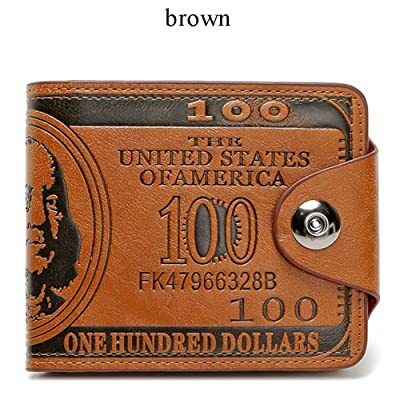 With less than $15, you have got a wallet made of 100% the finest genuine leather with even stitching, strong seam, delicate embroidery and streamline interior. That’s hardly happened in other models in this price range. So, this one is so precious. Look and feel no different than a $150 wallet. Not saying that, it’s equipped with RFID Blocking technology to protect your private information against hi-tech thieves. And going inside, aside from many card slots, and bill compartments, you also have double SIM card slots. See? This is a perfect choice as a travel wallet, in both capacity and security. My jaw is dropping down and down when handing on this product after looking at its price. Can’t believe that around $6, I can have such a quality and functional accessory. Though its PU leather texture isn’t as soft as other genuine leather ones, but at least, it’s durable, wear resistant, and beautiful looking. 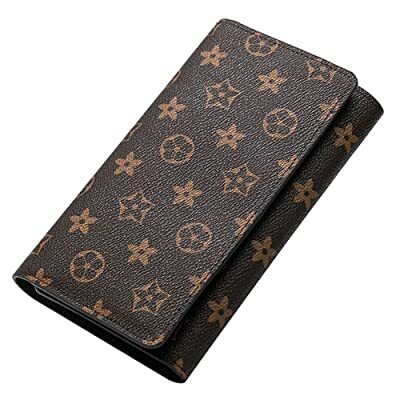 Moreover, the monogramed embossing on its top is very delicate and good feeling touch. Same with the stitching, very even and strong. Overall, there’s no signs of a cheap-made product here. Going inside, I bet you will be even more amazed because of its lean look and well-organized construction. From the clear ID window, the logo embossing to the trimming. Besides, the capacity is generous enough to fit 8 cards and 10-15 bills. Actually, when purchasing this, I also bought another OutTop designer wallet with the same-same price. The phenomenal thing is the total price is even nearly 2 times cheaper than the iPhone XS Max Wallet above. However, found this one is much slimmer and more convenient to use though both of them are similar in capacity. Actually, there are some people complaining for its tight card slot and stiff interior, but it’s loosened during time. So, not a big matter to me! 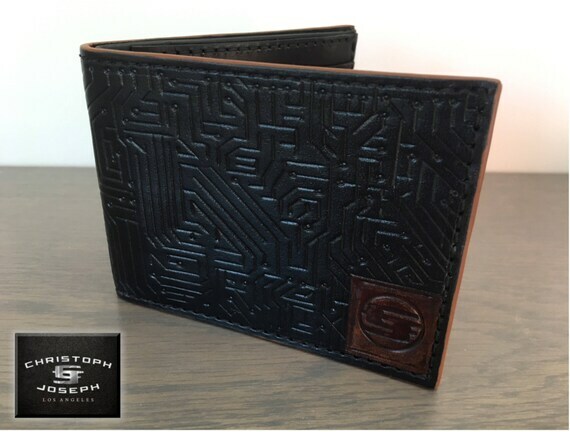 StarHide is my next suggestion for a mid-tier brand of designer wallets. The good news for those who love in one of 50 USA states is the free shipping policy. So, aside from paying $25 for the wallet, there’s no extra cost at all. 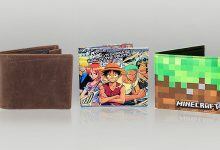 But in turns, the shipping time is a bit longer than other wallets, within 5-7 days. 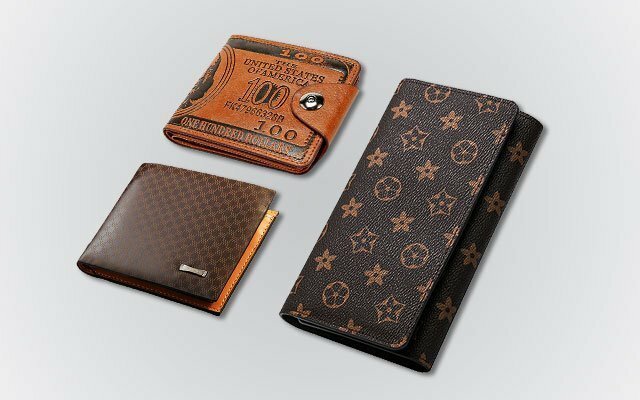 But it’s worth a try because StarHide is a comprehensive wallet with high-quality genuine cowhide leather for extreme durability, the protective RFID Shield, the exquisite packaging, the reliable warranty and the elite features. 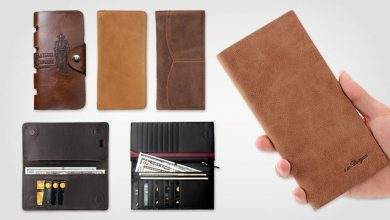 Its interior is designed with 3 card slots, 2 slips, 1 snap button pocket, and dual long bill compartments. Moreover, there’s a flip aside storage space including 3 more card slots and 1 ID window. In generally, aside from cards, ID and cash, it’s able to accommodate keys and coins as well. But at the same time, you need to accept that the wallet itself is thickened a little bit. With more coins and keys, it’s even hard to toss into your back pocket. But for such multifunctional and durability, I still love sticking with this men’s designer wallets with coin holder for longer time. If you’re a traditional guy who prefer to use the bifold wallet for its decent capacity, this is the one. 09. 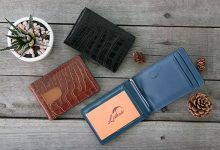 Sharkskin Wallet Men’s Designer Wallets Shark & Stingray Wallet. Now, is the first option if those who have their budget on the table. 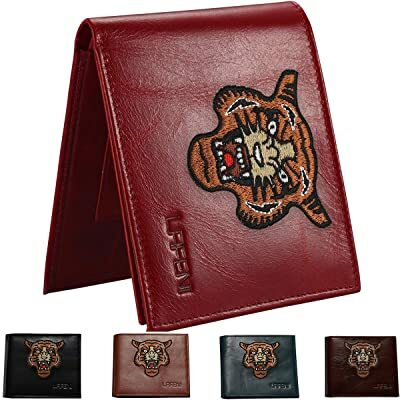 It’s much more expensive than other designer wallets in this collection but trust me, it bangs for your buck, from the leather texture, to stitching, and durability. Everything is all on a different level that other models can’t beat. ExoticLeatherWallets. Aside from the precious material, it’s 100% handmade to ensure that with every single product released, it’s definitely one of a kind. 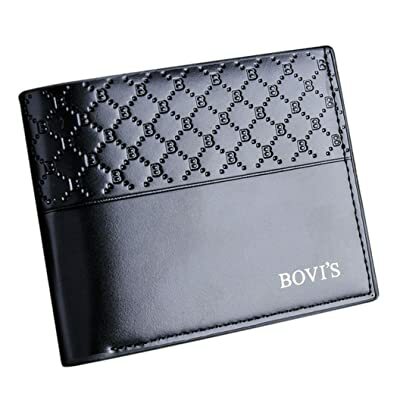 However, you need to accept one common thing in handcrafted wallet is its basic interior. Like this one, there are only 6 card slots, and 1 bill compartment. That’s all! It can’t be as streamline and complicated as the industrial wallets. But if you’re a leather person who appreciate the true value of each handmade piece, it’s worth a try! Last but not least, is this new comer brand– ChristophJoseph. Their products aren’t just an ordinary designer wallet, but a delicate handmade accessory, a custom piece for customer. It might also be the most expensive option in this collection, but somehow, in my point of view is the worthiest. 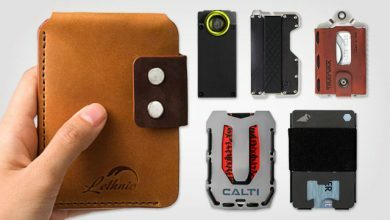 The whole tools, including the genuine leather and wallet-making gear to make such this costly wallet is from Italy. Another good news is it’s handcrafted 100% in the USA. So, you can feel ease in mind about its quality. 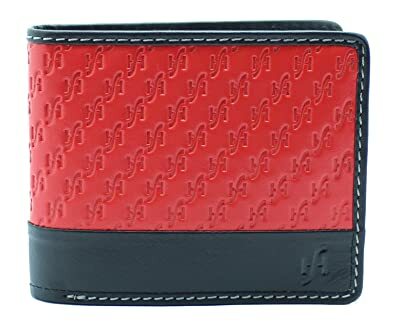 Not only that, there’s a built-in RFID Blocking Technology in each wallet as well and I truly appreciate such that high spirit of protecting customers’ private information. In terms of interior, it’s nearly as basic as the Sharkskin above, but just one difference is the double note divider so that you can analyze and arrange different paper currencies for easy access. The most expensive, but in turns, is also the most durable, the most comprehensive design and the worthiest model to try. Highly recommend! Each article/video review on our website will take at least two weeks from us to use and experience the products. In terms of expense, this project is implemented by customers buying those products through our links, for which we will get the commission.